Many homeowners don’t do regular maintenance to their windows and only take real good look at them once there is a problem. Unfortunately, waiting until a problem appears often means you’re a little too late, and it could be costly. Here are 5 myths to be aware of when it comes to window maintenance. This is the biggest myth, and it couldn’t be further from the truth. Every window requires some level of maintenance. Even the lowest maintenance windows will need to be cleaned and inspected regularly. Vinyl windows are some of the lowest maintenance windows on the market, but you’ll still need to spend time cleaning them, ensuring their opening and closing mechanisms aren’t failing, lubricating tracks, and inspecting seals. A great time to look at your windows is during spring cleaning. 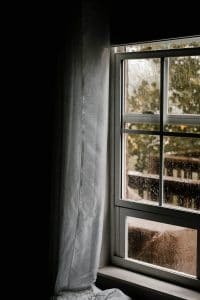 The strains of the winter season, combined with a lack of opening and closing the window, can begin to cause problems like old caulk and water penetration / ice damage. Moisture in your window is a common indicator that the seal between your panes of glass has broken. However, it’s not the only indicator that there’s a problem. You’ll want to look for signs of moisture penetration around the frame. Chances are the caulking around your window will fail long before your window seal will. Once caulk fails and water gets behind the window frame, rot can begin to take hold without you knowing. Over time, rot will not only eat away at wood, but the structure that holds the window in place will be compromised. Once the structure is compromised, the window may no longer be level which can break a seal or even crack your window. A draft around a closed window is a sure sign there’s an issue. Unfortunately, drafts are just the obvious sign. Moisture, heat (or cooling) loss, and critters can all get through the window frame if just one side of the caulking is showing signs of wear. The exterior side of your window will deteriorate faster as the sun’s UV rays hammer down on the caulk. Once the exterior is breached, you may not feel a draft, but the window may be compromised. The opposite is actually true. When you open a window regularly, you’ll notice any obvious issues just by operating the window. 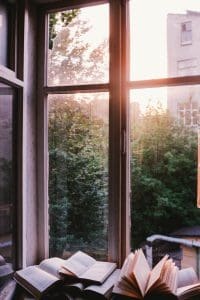 If you don’t open the window regularly, that’s when you’ll want to make a note in your calendar to do a quick inspection in spring and fall just to make sure all is well. While you’re inspecting the windows it’s a great time to give them a quick clean, inspect the caulk, and look for any signs of moisture. Using a product made for wood will not go well on vinyl. What you use to clean sashes may damage your hardware. It’s important to use the right tool for the job. If you’re cleaning a wooden window, use a cleaner designed for wood. Metal clasps should use a cleaner for that material. Avoid using harsh abrasives like citrus, vinegar and ammonia on hardware. If you’re windows are vinyl, soap and water will work just fine – except on the actual glass – it usually yields poor results. Use a glass cleaning product for glass to help avoid streaks and spots that soap will leave. If you have any questions about your windows, feel free to give us a call and we’ll be able to point you in the right direction. Fiberglass vs Metal Entry Doors: Which One is Right for You?